Afandiyeva, L., Abbasov, V., Aliyeva, L., Ahmadbayova, S., Azizbeyli, E., El-Lateef Ahmed, H. (2018). Investigation of Organic Complexes of Imidazolines Based on Synthetic Oxy- and Petroleum Acids as Corrosion Inhibitors. Iranian Journal of Chemistry and Chemical Engineering (IJCCE), 37(3), 73-79. Lala Afandiyeva; Vagif Abbasov; Leylufer Aliyeva; Saida Ahmadbayova; Emin Azizbeyli; Hany M. El-Lateef Ahmed. "Investigation of Organic Complexes of Imidazolines Based on Synthetic Oxy- and Petroleum Acids as Corrosion Inhibitors". Iranian Journal of Chemistry and Chemical Engineering (IJCCE), 37, 3, 2018, 73-79. Afandiyeva, L., Abbasov, V., Aliyeva, L., Ahmadbayova, S., Azizbeyli, E., El-Lateef Ahmed, H. (2018). 'Investigation of Organic Complexes of Imidazolines Based on Synthetic Oxy- and Petroleum Acids as Corrosion Inhibitors', Iranian Journal of Chemistry and Chemical Engineering (IJCCE), 37(3), pp. 73-79. Afandiyeva, L., Abbasov, V., Aliyeva, L., Ahmadbayova, S., Azizbeyli, E., El-Lateef Ahmed, H. Investigation of Organic Complexes of Imidazolines Based on Synthetic Oxy- and Petroleum Acids as Corrosion Inhibitors. Iranian Journal of Chemistry and Chemical Engineering (IJCCE), 2018; 37(3): 73-79. The mixture of Synthetic Petroleum Acids (SPA) and oxyacids (OSPA) have been synthesized on the basis of naphthenic-paraffinic hydrocarbons separated from 217-349°C fractions of Azerbaijan oils in the presence of the salts of Natural Petroleum Acids (NPA). The acid number of the obtained (SPA+OSPA) was 165 mgKOH/g, the yield was 40%. Imidazoline derivatives have been synthesized based on the mixture of SPA+OSPA and polyethylene polyamine (PEPA) and their complexes were prepared with CH3COOH and HCOOH. The inhibition action of these complexes on steel corrosion in 1% NaCl solution saturated with CO2 has been studied at 50°C. The results showed that all compounds are good inhibitors and the inhibition efficiencies in the presence of imidazoline derivatives based on SPA+OSPA were 93% and 97% at 25 and 50 ppm, respectively. The activation parameter study suggests the chemisorption for all inhibitors. The obtained values for Gibbs free energy show that the compounds are spontaneously adsorbed on the metal surface by chemisorptions. The image of the steel surface proved that the formed protective film on the electrode surface was stable. The adsorption of the studied compounds on steel surface follows the Langmuir adsorption isotherm. Hany M Abd El-Lateef, Mohamed Ismael, Ibrahim Mohamed, Novel Schiff Base Amino Acid as Corrosion Inhibitors for Carbon Steel in CO2-Saturated 3.5% NaCl Solution: Experimental and Computational Study, Corrosion Reviews. 33: 77–97 (2015). Abd El-Lateef H. M., Abbasov V.M., Aliyeva L.I., Qasimov E.E., Ismayilov I.T., Inhibition of Carbon Steel Corrosion in CO2-Saturated Brine Using Some Newly Surfactants Based on Palm Oil: Experimental and Theoretical Investigations, Mater. Chem. Phys, 142: 502-512 (2013). Abd El-Lateef H. M., Abbasov V.M., Aliyeva L.I., Khalaf M. M., Novel Naphthenate Surfactants Based on Petroleum Acids and Nitrogenous Bases as Corrosion Inhibitors for C1018-Type Mild Steel in CO2-Saturated Brine, Egyptian Journal of Petroleum, 24: 175–182 (2015). Shaker N.O., Badr E.E., Kandeel E.M., Adsorption and Inhibitive Properties of Fatty Imidazoline Surfactants on Mild Steel, Pelagia Research Library Der Chemical Sinica, 2(4): 6-35 (2011). Song F.M., Kirk D.W., Graydon J.W., Cormack D.E., Predicting Carbon Dioxide Corrosion of bare Steel under an Aqueous Boundary Layer, J. Corrosion, 60 (8): 736-748 (2004). Abdel-Gaber A.M, Abd-El-Nabey B.A, Khamis E., Abd-El-Khalek D.E., A natural Extract as Scale and Corrosion Inhibitor for Steel Surface in Brine Solution, J. Desalination, 278 (1): 337-342 (2011). 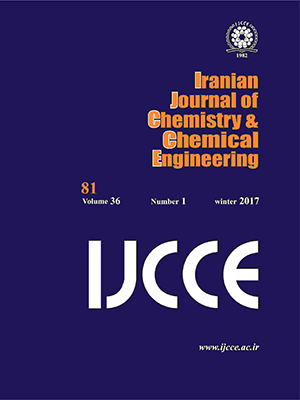 Hany M. Abd El-Lateef, Experimental and Computational Investigation on the Corrosion Inhibition Characteristics of Mild Steel by Some Novel Synthesized Imines in Hydrochloric Acid Solutions, Corrosion Science, 92: 104–117 (2015).